Lapwing (Vanellus vanellus). Taken at Slimbridge, Gloucs., on January 17th 2019. Taken at Slimbridge, Gloucs., on January 17th 2019. Lapwing (Vanellus vanellus). Juvenile. Taken at Standlake Common, Oxon., on July 31st 2016. Juvenile. Taken at Standlake Common, Oxon., on July 31st 2016. 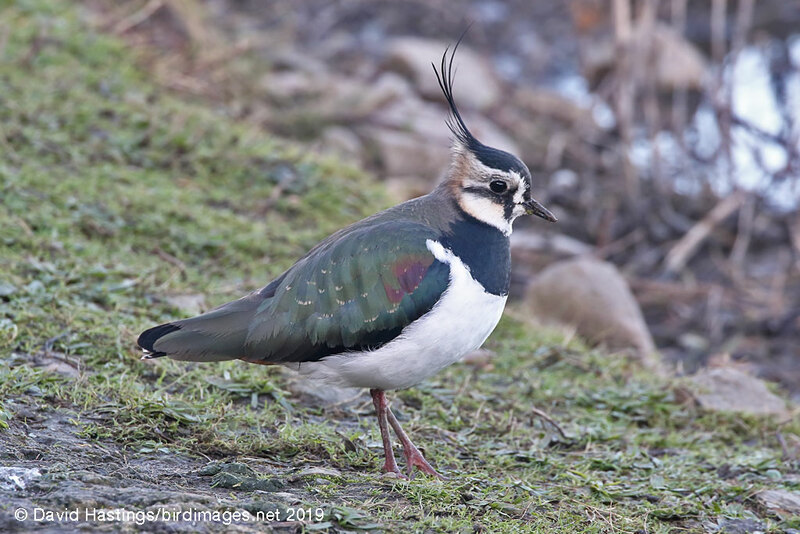 The Lapwing's black and white appearance and round-winged shape in flight make it distinctive, even without its splendid crest. It can be found throughout the British Isles, but only during summer in the Scottish highlands. Its breeding habitat is usually arable fields, pastureland or seashore or lakeland meadows. In winter it will form large flocks on famland and marshes. British birds leave upland areas after the breeding season and move to lowland fields for the winter. Large numbers of northern European birds arrive in Britain in the autumn. There are about 156000 breeding pairs in Britain, and up to 2.1 million birds over-winter here. Its conservation status is Amber, owing to the large over-wintering population. 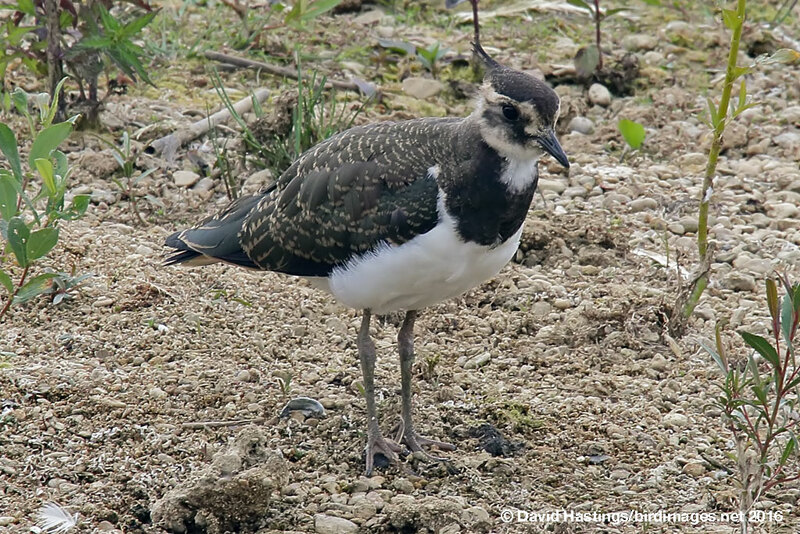 Lapwings have suffered a significant decline in population in the last 25 years, mainly due to loss of habitat.